Choose a scripture from our list or add your own custom scripture (up to 150 characters) for $3 more. A new look for the dog tag, this long sleek stainless steel scripture tag features your favorite scripture. You may pick from our standard list, or for only $5.00 more add your own special verse, or even names or a phrase. 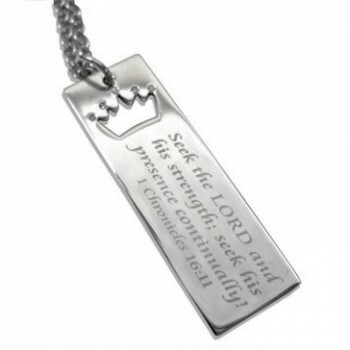 We recommend short verses for this necklace or up to 12 words for easy readability. 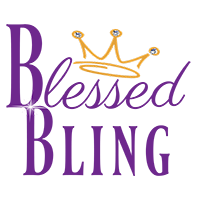 With this tag we have added CZ “bling” to the crown cutout in the tag!